By taking a 5-wicket haul as captain in both Tests and ODIs, Cremer joined the elite list of captains who have taken 5-fers in two different formats. 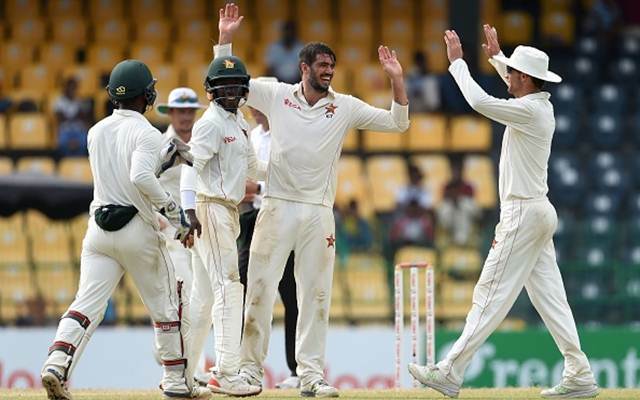 Zimbabwe captain Graeme Cremer led his side from the front to play a key role in restricting the home side Sri Lanka to 346 and helped them gain 10-run first innings lead. In this process, Cremer bowled 39.3 overs out of the 102.3 overs that comprised of Sri Lanka’s innings and returned with a 5-wicket haul. Thus the leg-spinner became the first Zimbabwe player to take a 5-wicket haul as captain in Test cricket. Heath Streak picked up 4-wicket hauls on 4 occasions in his captaincy career while Cremer picked up two 4-fers during the Sri Lanka series at home last year but none from Zimbabwe managed to pick 5-wickets in an innings in Tests while captaining the team before this game. During their ODI series tour in Scotland earlier this year, Cremer bagged a 5-wicket haul against the hosts and became the first player from Zimbabwe to take a 5-wicket haul as a captain in ODI cricket. By taking a 5-wicket haul as captain in both Tests and ODIs, Cremer joined the elite list of captains who have taken 5-fers in two different formats. So far, no player has taken a five-wicket haul in T20I cricket while leading the team. He is now a part of the list of captains with 5-fers in both Tests and ODIs which comprised of 7 players before him. The recent entry to the list before Cremer was the Windies captain, Jason Holder. Holder picked up a 5-wicket haul in his side’s 10-run win against India in the recently concluded ODI series when they were defending a low total of 189 runs. Earlier in 2016, Holder had bagged a 5-fer in the Test match against Pakistan at Abu Dhabi.